Virginia’s state veterinarian confirms two King William County horses tested positive for the neurologic strain of the equine herpes virus (EHV-1) leading to their euthanasia. Equine herpesvirus myeloencephalopathy (EHM) is another name for the neurologic manifestation of the highly contagious virus. Experts state neurologic deficiencies appear after the infection damages blood vessels in the horse’s brain and spinal cord. 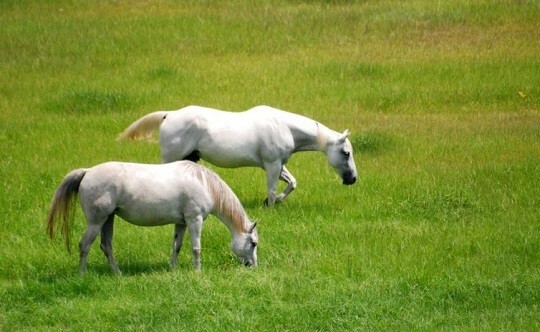 The Virginia Department of Agriculture and Consumer Services (VDACS) quarantined the pleasure horse farm after four horses began showing neurologic-like symptoms. Most noteworthy, no horses have been off the private property in a year. The department announced an unrelated EHV-1 quarantine at a private Culpeper County horse farm on August 15, which remains in place. To date, three horses tested positive for EHM from that location, including one that was euthanized. VDACS state veterinarian Dr. Charles Broaddus recommends common sense solutions like practicing good biosecurity to minimize the spread of diseases. Veterinarians recommend vaccinating against EHV-1 to help prevent the virus although no current vaccine prevents the neurologic strain. Symptoms that should alert horse owners to the possibility of a neurologic EHV-1 infection include a fever over 101.5 degrees, weakness, incoordination, urine dribbling or the inability to stand. A veterinarian should immediately examine horses with these symptoms.